A major consequence of all money being loaned into existence is the growth-at-any-cost mentality that endangers the well-being of all animals and plants on this planet. Very few nations, states, businesses, and individuals are satisfied with a steady-state financial situation. Instead, we are inundated with calls by our so-called leaders for “growth, growth, growth,” chanted like a mantra. While there is no doubt that economic booms can make people feel good about things (and about those politicians currently in power), it is clear that governments and businesses increasingly resort to desperate tactics when growth seems insufficient and the inevitable recession or depression occurs: businesses slash their employment rolls; governments bust their budgets and borrow vast sums to fund massive “economic stimulus” programs, ignoring whether the money they borrow can ever be repaid; central banks push interest rates—the cost of borrowing (renting) money–to zero or even negative; and central banks resort to what they call quantitative easing (money printing). The clear source of such desperation lies in the fact that money in this world is debt. If the average interest rate in the world, on all loans, is 4%, then the economy must grow sufficiently (by 4% or more) for everyone to pay back their loans plus the interest on those loans. Without such growth, there is insufficient money to pay back loans plus interest, and a negative feedback loops ensues: some people and companies can’t pay back their loans, so they default, and the money they owe literally disappears from the ledger of their lender. If they are companies, their employees lose their jobs, so the households of those employees spend less money, putting pressure on other businesses because of lost sales, leading to more layoffs and more defaults. Many who have lost their jobs are unable to pay their mortgages and the price of real estate, which is the collateral for Trillions of US Dollars in loans, decreases. It’s a vicious feedback loop, an economy in reverse, an economy that is shrinking, deflating. To defeat this deflationary trap, governments resort to lowering interest rates to ease the debt burden, and if that doesn’t work, they print money to try to replace the money that disappears when debtors default. These strategies supporting growth are accepted by most, even some who realize that these financial tactics are unsustainable and will possibly lead to economic calamities such as governments defaulting on their debts and/or hyperinflation. This growth-at-any-cost mentality, this quest for infinite growth, is now embedded in the system, but it conflicts with the finite resource base currently needed to enable such infinite growth, over-taxing supplies of natural resources and causing widespread environmental destruction. In our current state of human and technological development, growing economies need increasing amounts of oil, coal, natural gas, and uranium for energy; cement, copper, and lumber for construction; iron ore, steel, and a wide array of metals and chemicals for manufacturing; and fertilizers and pesticides for more food for an increasing population with increasing amounts of money to spend. Thus our often-rapacious quest–for raw materials, farmland, wildlife on land and in the sea; increasing space for housing; and the rampant use of herbicides and insecticides–robs the natural world of habitat and life, and increasingly poisons water, land, and air. 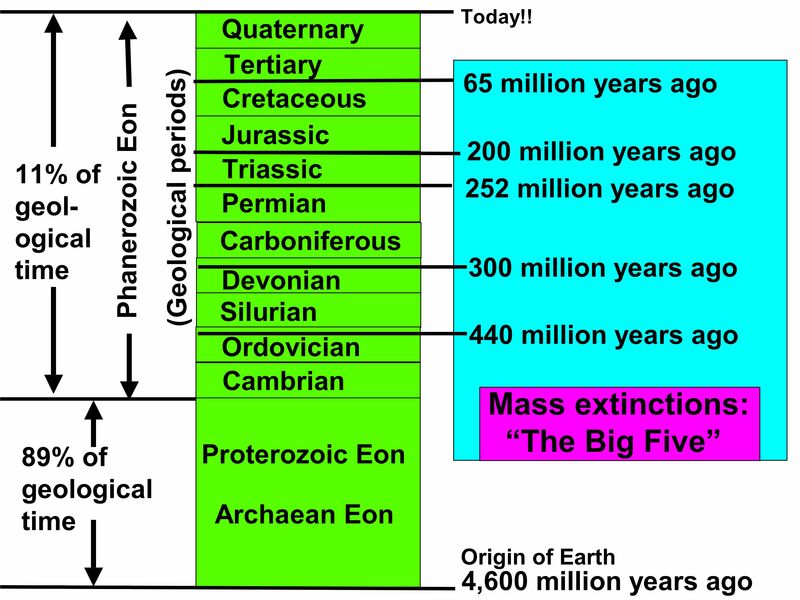 Thus humanity is now the primary cause of what is shaping up as the sixth great species-extinction event in the multi-billion year history of our planet. Some scientists think it so likely that we will destroy our own habitat, and thus our own species on Earth, that they are dedicating their life to finding other planets that could support human habitation, and devising ways to transport us there—typically only some of us. If all money were not debt, with the ever-present pressure to pay back a loan plus interest, there would be no need for this growth-at-any-cost mentality. Economies could achieve relative stasis. As with all processes in the physical plane, the economy would be very likely to have a natural cyclical ebb and flow. And yes, some people would still seek growth, but it would not be a structural necessity of the system, that is, there would be no financial danger to the system if the economy failed to grow at all times. Thus this financial system based on money as debt is inherently unstable, and dangerous to many species, including our own. The legal tender laws of nations serve to solidify the structural grip that debt-based money holds on the populace. These seemingly innocuous laws state, in the United States, for example, “United States coins and currency…are legal tender for all debts, public charges, taxes, and dues.” This means that anyone can tender (offer, that is) US Dollars to discharge any debt in the US. Any court of law considers such an offer sufficient to discharge the debt. And while the US claims it does not force people to use US Dollars, the effect of legal tender laws is nearly that in most cases. Let’s say you lend someone 5 ounces of gold for a year at 5% interest. At the time of the loan, the gold was priced at $1,000 per ounce. So at the end of the year, you would be owed $5,000 plus 5% interest, for a total of $5,250. In the US, after a year, the borrower could offer to discharge his or her debt for $5,250 in US Dollars even if the price of gold had doubled. This has the intended effect of making sure that people not use gold in their borrowing and lending, but use US Dollars instead. Secondly, despite the huge moves in the relative prices of currencies today (for example, the Euro declined 25% in price versus the US Dollar from March 2014 to March 2015), the legal tender currency is assumed to have a constant value so there is no additional income tax required when someone accumulates their national currency in the year 2000 and spends it in 2015. But if a person acquires a gold or silver coin, a foreign currency, or a bitcoin or other cryptocurrency, in the year 2000 and spends it in 2015, then this is a taxable event for income tax purposes, often at both the national and provincial/state level. The tax authorities consider accumulating and spending something other than the legal tender currency to be the acquisition and sale of an asset, and they require that people report it as such on their tax forms. So yes, if you buy a bitcoin in January and buy a cup of coffee with a portion of that bitcoin in February, some countries require that this be reported on one’s income tax form. They want to know if you acquired that bitcoin at a lower price than it had when you spent it, in which case you owe taxes on the gain in value of that bitcoin. Certainly the same is true for the use of gold, silver, or platinum coins. Such laws are an intentionally strong discouragement against the use of anything other than the legal tender currency issued by the government. Perhaps even more importantly, these laws discourage transactions that take place outside of the banking system since the banks cannot take their cut from transactions that take place outside of their system. So while countries typically claim they do not force the use of their currency, there are strong penalties for not using it, and thus gold and silver coins remain in vaults, in hiding, and do not typically compete with government fiat currency for transactions. Governments do not want other currencies competing against their officially-sanctioned fiat currency because this would limit their ability to manipulate that currency at will, which typically means the creation of more of that currency than is prudent. Even though many become aware that their currency is losing value due to its debasement via over-printing, legal tender laws provide a level of entrapment in the government currency regime. If people start using the currency of another nation or precious metals for transactions, this weakens the hold of the government/banking cartel that gains great advantage, as shown above, over all others by being the sole controllers of currency creation. When legal tender laws fail to stem the tide of abandonment of a national currency due to its over-creation or due to fear that its banking system is collapsing, governments will typically impose capital controls that prohibit the movement of currency out of the country and sometimes make it illegal to convert money into or use other currencies or precious metals. When announced, these measures are generally said to be temporary, but they often become permanent. When people buy a product or service, they generally care about the quality of the vendor from whom they are buying. They want to buy from someone who stands behind their products and offers some level of quality guarantee, and who will remain in business to back that guarantee. However, there is, again, a single business for which this is not the case: banks. Most people bank where it is most convenient for them based on the location of bank branches. Few take any interest in whether the bank is operating in a sound financial manner because they believe their deposits are covered by a government guarantee. So if the bank goes bankrupt, government deposit insurance will give them their money back. The banks claim this is fair because, in many countries, they pay money into an insurance fund that backs people’s deposits. But these insurance funds typically have less than 1% of the deposits they are insuring. When there is a crisis of confidence in banks, that less-than-1% isn’t remotely enough to cover deposits of failing banks. But as shown during the phase of the financial crisis in 2008-2009, governments go far beyond these bank deposit insurance funds to protect banks, calling them too big to fail, and thus, money is borrowed or printed to keep the banks afloat. This unique arrangement for banks allows them to engage in highly risky financial maneuvers that are unavailable to others. The most egregious area for this type of behavior is in what are called derivatives. These complex contracts provide insurance against—and allow people to gamble on for potential profit–nearly every conceivable movement of interest rates, currencies, stocks, commodities, and so forth. But because of this unique government backing, banks are allowed to sell this wide-ranging insurance with nowhere near the reserves that would be required were a regulated insurance company to sell the same coverage. Banks even sell insurance against governments going bankrupt, including their own, even though their ability to make good on such contracts could only possibly come from the government whose debts they pretend to be insuring. To give just a hint of the size of the risk involved with these derivatives, the largest US and European banks have risk exposure to derivatives of hundreds of Trillions of US Dollars, almost ten times the size of the entire world economy. Selling these derivatives is extremely profitable for the banks, so these absurd levels of risk are tolerated and excused away. Many derivatives are, in fact, a blatant form of fraud since seller could not possibly make good on these contracts. But since it is bankers who in fact write the laws for these contracts, it is all “legal.” While things are going well for the banks selling these contracts, they pull in staggering profits from this activity. When these bets go wrong, the burden of the losses is placed on the taxpayer. To give an idea of this in numbers, as an example, at the end of 2014 in the US, the bank deposit insurance fund held $52 Billion, insuring $6,200 Billion in deposits (119 times the insurance fund), and backing $239,000 Billion In derivatives (4,596 times the insurance fund). 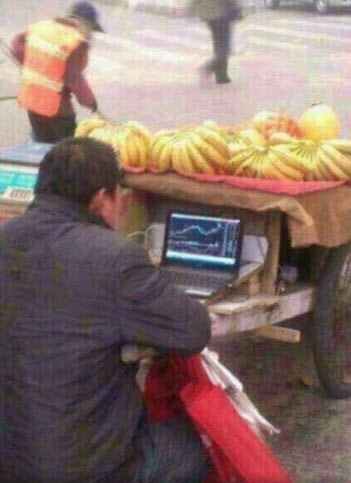 In addition, it is the trade in derivatives that now move prices in global markets for many commodities, including essentials such as oil, wheat, and corn. The value of trade in derivatives for a commodity can be 100 times larger than the value of trade in the actual commodity. Thus prices are often set through derivatives, not through trade of the actual physical commodity, allowing prices to be moved far from the fundamental value of the commodity, and offering opportunities for outsized profits from magnified price movements that can have severe negative effects on the producers and consumers of essential goods. Furthermore, many derivative trades are private transactions between parties, often defined by complex contracts that are hundreds or even thousands of pages in length. Efforts to bring all of these trades into the clear light of day on public trading exchanges have been successfully resisted by the large banks, offering the potential for illegal manipulation of markets, yet another potential source of outsized profits. Increasingly, because of the need for massive campaign funds in modern electoral politics, the political class is beholden to those who provide what are politely called “donations” or “contributions” to campaign coffers, but which have become difficult to distinguish from bribes. 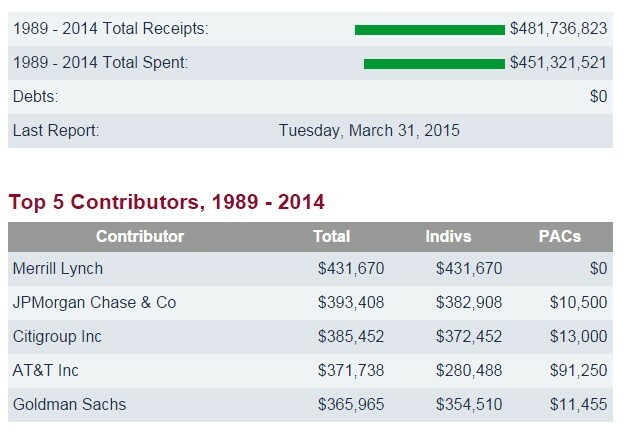 So, over the last 25 years, Senator McCain raised and spent almost a half billion US Dollars on his campaigns. And four of his five largest donors are from Wall Street. What are the odds, when any matter relevant to banking or markets arises, that McCain would listen to concerns of you or me, or even a large group of us, versus the concerns of Merrill Lynch, JP Morgan, Citigroup, and Goldman Sachs? Thus, substantial portions of the huge flow of tax money discussed above are not used to serve the people but to increase the profits of those sectors of the economy that already have sufficient funds to be among the largest of campaign donors, seriously widening wealth inequality in the society and, in effect, taking from those who have less for the benefit of those who already have much more, enabling the very rich to purchase even more political influence and to further entrench the existing political elite. Some label this “crony capitalism,” but it is not capitalism at all, it is theft and oppression by a small, oligarchic class that has learned how to manipulate the system for the personal gain of a small group. The Revolving Door: This stranglehold on government by big-money interests is further cemented by what is called the revolving door policy. This is the movement of personnel between roles as legislators and regulators and the industries supposedly subject to the legislation and regulation. The excuse for this policy is that industries are now too complex to be regulated by those who are not industry insiders. This enables members of an industry to write, approve as law, and enforce the legislation and regulations that are supposed to assure the fair play of those industries within the society but which instead guarantee substantive advantages and large financial flows to these industries. People are born owing a substantial sum of money that is part of an ever-growing national debt that can never be fully repaid. Ideas to undo structural unfairness are rarely even part of the political debate, and if they do surface in public, are quickly squashed by the entrenched political and financial elites. 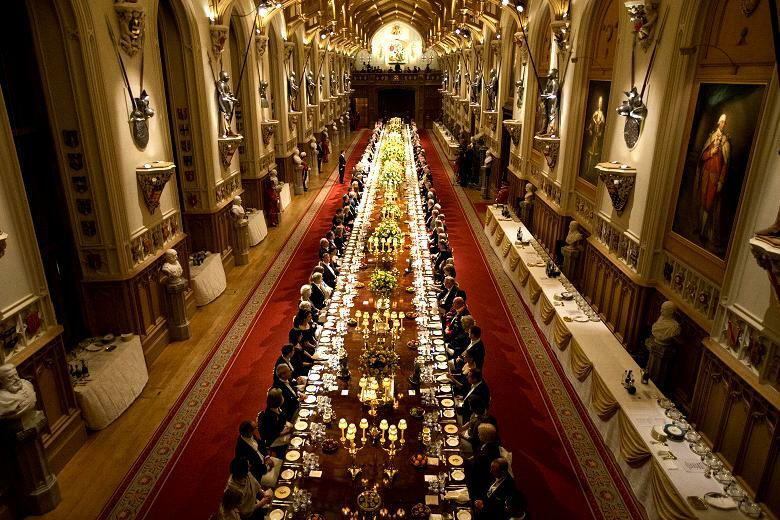 Is it any wonder that the vast majority of people on this planet are struggling financially? They are placed under a tremendous burden of debt and taxation from the moment they are born, and any money they save inexorably loses purchasing power. First, if an economy based in fairness can rightly be called the voluntary exchange of service for service among people, what people see is that some players in the economy receive a service without rendering one in return. They see that some of these players become vastly rich in the process and that they then strongly influence the political process to tilt the entire economic table even further in their direction. With such examples on full display, more and more people focus their efforts on getting something for nothing, on gaming the system rather than producing real value that they can rightfully exchange with others in the marketplace. People with money increasingly focus on making money from their money in the world’s giant financial casinos through stocks, bonds, currencies, commodities, futures, options, cryptocurrencies, and so forth. They don’t see debt as a burden that depresses future expenditures, they see it as a way to get rich from other people’s money, and seek to qualify for as much debt as possible. A home is no longer primarily a place in which to live, it is now an asset class to be re-modeled for resale value, flipped, and borrowed against to meet expenses or to make even more money in other asset classes. People along the entire financial spectrum seek handouts from government programs and jump through hoops, sometimes less-than-legal hoops, to avoid taxes. People see the richest using tax loopholes to pay a smaller percentage of their income in taxes than a typical worker. People see that those with money can bully the courts and regulatory systems into allowing them to get away with illegal actions—perhaps, for truly egregious actions, they receive a fine that is small compared with the profits earned from outright illegal activity–and thus clever lying becomes honored in the society. In a society where the money is created from nothing by a small group, getting money for nothing, generally through tricks and sometimes by lying, becomes the focus of more and more people. The economy becomes an increasingly hollow competitive shell of money chasing money wherein there are always “winners and losers” rather than a vibrant, productive joint effort based on a cooperative win/win approach for all. Second, when all money is loaned into existence and thus all money is debt, and interest must always be paid on that money, there is always a general feeling of not having enough, or a fear of perhaps not having enough right around the corner. Everyone falls in with the environment-endangering growth-at-any-cost mentality since standing still economically does not feel like a valid option to people when interest must always be paid, the paper/electronic currency constantly loses purchasing power, and taxes must be paid at every turn. This gives rise to a feeling of scarcity in a world awash in abundance and leads to the feeling that people must compete with others for scarce resources or they will die starving and penniless in the street. IT DOES NOT HAVE TO BE THIS WAY! This is a set of structures intentionally designed by a small group of insatiably greedy conscienceless people using us and nature as cannon fodder and who have commandeered academia and the mass media to convince us that it must be this way, that in fact this way is glorious. It is not. Structural unfairness is not inevitable. We have the know-how, power, ability, and to make this world a far, far better place. Thank you for reading this series of posts on the structural unfairness of our current system. I look forward to your comments. Over the first three quarters of the 20th Century, the world’s monetary system was incrementally changed from a system where most money was either gold or silver—or was a certificate backed by one of those—to a system in which almost all money was loaned into existence by those with a government-granted license to create such money, primarily central and commercial banks. These banks do not simply create the money, they grant access to that new money by lending it. This means that, other than coinage and physical cash, which are a very small portion of the world’s money supply, all money is debt, that is, it must be paid back by the borrower with interest. Most people do not think of their money as debt. They feel that, if they have a bank account, their money is stored in a bank. They do not think that they have loaned that money to the bank, but that is the truth. The bank now owes the person money, plus perhaps some interest on that money. Almost all accounts for which depositors receive a paper or electronic statement involve money that has been loaned to a financial institution. First, a significant portion of the price people pay for anything is interest expense. Let’s say a person buys a bicycle. Many businesses were involved in creating that bicycle. A bulk shipping company transports iron ore from a mining company to a steel mill that supplies steel to a bicycle company that shapes the steel and then paints it with paint from a paint company that has its own suppliers of raw materials from which it makes the paint. Another shipper ships rubber from a plantation to a company that makes the tires and a trucking company hauls the tires to the bicycle plant. The finished bicycle, with many parts attached and provided by yet another set of companies, is shipped to a wholesaler who ships it to a retailer. Each of these many companies is using energy in the form of transport fuels and electricity supplied by an energy company that also has its suppliers of raw materials that were mined, shipped, and so forth. Most or all of these participating businesses are likely to have loans on which they pay interest. People who have studied this process, such as Monneta.org, say that on average, 30% of the price of any consumer product is due to interest payments made all along the supply chain. Furthermore, all of those businesses used infrastructure such as roads, bridges, and port facilities built by government projects that are often financed by bonds, that is, by borrowing by the government. Monneta.org has studied this process and determined that the cost of government infrastructure projects would be cut by 40% if there were no interest to be paid on the funds for the project. Thus, much of what people pay in taxes goes to cover interest expense. Next, if everyone is paying so much interest, who is collecting all that money? Who benefits? Clearly, the lenders, that is, banks and those with sufficient means to lend money. Monneta.org takes its statistical analysis of this interest expense phenomena further and shows that 60% of all interest payments concentrate in the accounts of 10% of the populace. They show that the worst of the burden falls on the middle class, which pays a lot of the interest flow on purchased products and through taxes and yet collects relatively little of the interest flow compared with the wealthiest 10% of the population. Thus we see another major structural unfairness built into the system: money loaned into existence burdens the entire society for the benefit of those who can create money from nothing and those with the greatest amount of money to lend. As we have seen, when money is loaned into existence, there must always be more of it in circulation to pay back the principal plus the interest on the loan. Thus, central banks see it as part of their task to make sure that the supply of money in the society is ever growing to support an ever-growing economy. They publicly state their goal of keeping inflation in the general level of prices at 2% or 3% per year and they do their best to make sure that enough new money gets created to support that increase in prices. They do this to avoid the dreaded-by-them deflation during which there is a more or less widespread difficulty in the repayment of loans plus interest and, instead of money getting created and increasing, loan defaults lead to money simply disappearing from the ledgers of lenders, so the supply of money shrinks. During such periods, the central banks work even harder to make sure that new money gets created. Thus, they seek to have money creation occurring in both good economic times and bad. But what is the effect on people of having the general level of prices increase 2% to 3% per year? To put it in Dollars, in the US, during a period that the authorities say is a period of relatively low inflation of prices, it takes a $1.46 in 2015 to buy what a person could buy for $1.00 in the year 2000. And this is using US government statistics that are designed to understate inflation, so the truth is very likely worse than that. What is the effect of this inflation on people? First, it discourages saving and encourages spending. Many realize that if they simply save money, that this price inflation inexorably erodes the purchasing power of their savings. Second, it encourages accumulation of debt. People realize that they can get a loan now and pay it back later with cheapened money. Third, it pressures people to put their money into investments or speculations that they hope will provide a return that is greater than general price inflation. Thus they enter the world of risk assets: speculation in stocks, bonds, currencies, commodities, real estate, and so forth. This is where the problem of dishonest money arises. Some call for a return to honest money, and by this they generally mean money that is gold or silver, or is backed by one of those. People generally understand that money is useful because it is a medium of exchange and a store of value. The dishonest part arises because of this inexorable loss of purchasing power due to intentional inflation. This puts the honesty of the store of value aspect of paper/electronic money in question because, in the long run, paper/electronic currency is a very poor store of value. In addition, historically, almost all such currencies have lost all of their value, disappearing entirely or being replaced by a new version of the currency that removes a few zeroes from the old currency, that is, 1,000 of the old currency is replaced by 1 of the new currency. Perhaps the best definition of honest money is money that does not purport to be something that it is not. (For a discussion, see this.) Paper money that is not backed by anything tangible has proven to be an excellent medium of exchange, but a very poor store of value. This will be discussed in more detail in a future post. For our purposes here, what we see is a structure that encourages people to spend now and discourages the independence and security brought about by a person having some savings; that encourages them to take on debt that creates more interest payment flows for lenders; and that encourages entry into financial speculation that inevitably enriches the Wall Streets of the world. The once flourishing and powerful Mesopotamian, Roman and Bourbon dynasties, as well as the British empire, ultimately lost their great economic vigor due to the inability to prosper under crushing debt levels. Most governments around the world are in a simple and intractable predicament: they have made promises they can’t keep, they continually borrow more money to try to meet those promises, and if they break those promises, they are thrown out of power. Let’s say a government decides it needs a fire department and that their budget allows them to hire 15 firefighters. Part of the compensation for these firefighters is the promise of a pension and healthcare for their retirement years. When these 15 firefighters retire, of course a few will die, but let’s say that 12 of them collect their pension for many years. Now the city must hire 15 new firefighters and they are paying 27 firefighters instead of 15. People live much longer now. 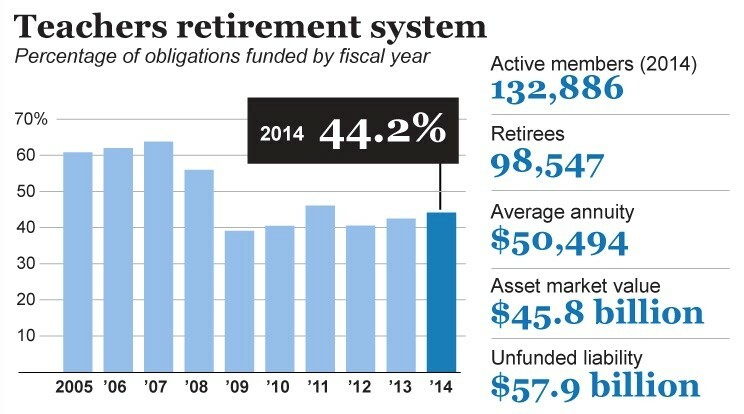 With retirement cycles, they may end up paying 30 or more firefighters, some active, some retired, with pensions indexed to cost-of-living increases and with the price of healthcare benefits accelerating faster than the government’s tax receipts for all 30 of the firefighters and their families. So the current cost for firefighters now dwarfs that original budget. It has likely increased several-fold. Now, add to this small example soldiers, police, school teachers, garbage collectors, administrators, tax collectors, secretaries, spies, building inspectors, diplomats, jailers, judges, clerks, elected officials, border guards, road builders, attorneys, programmers, researchers…you get the picture. This state has 132,866 active teachers and 98,547 retired teachers. They have assets of $45.8 billion to meet retirement payments, but that is only 44% of what they really need, that is, they are $57.9 billion short. This is called the unfunded liability, that is, promises have been made but they do not have sufficient money to meet those promises. This example, from just one of fifty US states and just for school teachers, gives an indication of the magnitude of the pension shortfall faced globally by governments. Some say that a key factor in the demise of the Roman Empire was pension promises to soldiers: things worked well while military campaigns brought home the plunder of war, but when the flow of plunder subsided and the number of pensioner-soldiers increased, the massive amounts owed led to payment in severely debased Roman coinage, where base metals were substituted for precious metals, the money-printing technique of those times. To keep their pension payments coming, Roman soldiers sometimes sacked a city to make their point. It is essential to understand the nature of borrowing: it pulls forward future spending into the present. It allows a person to buy now something for which they have not yet earned the money. But the need to pay that bill in the future, when the money is finally earned, often depresses future spending. When a person has debts, there is usually a payment due every month that is added to the burden of their current expenses. As debt builds up, the person might not be able to spend as much as they wish on current needs and wants. When debt builds up for a society, it can have an increasingly depressing effect on the entire economy. Too much money has to be spent to pay for expenditures from years ago. We are all observing this now across most of the world, with economies groaning under their massive debt burdens. While government borrowing began to support war and still does, currently it is often justified like this: “We will borrow money now to pay for infrastructure—roads, bridges, and schools, for example—that will be a benefit over decades. By borrowing to pay the cost over 30 years, we spread that cost to the many taxpayers who will benefit from these investments over those next 30 years.” While this has some logic to it, the reality is that infrastructure spending is now only a small portion of the spending of most governments. Most government borrowing now supports current consumption and huge standing bureaucracies. This distinction is crucial. When a business borrows money to buy equipment that it can use to increase production, then the plan is that the use of that equipment increases company income so that paying the loan plus interest is easy, hopefully with more money left over for profits. Most consider this to be productive debt. But if that same business borrows money to pay rent, utilities, and salaries, how does that present spending produce the future income needed to repay the debt? The same applies to individuals. Financing a car can make sense for people: perhaps it allows them to travel to their job where future income will pay the auto loan plus interest. But when they are borrowing for current rent, food, utilities, vacations, and so forth, the debt tends to build up and, in the future, they must add the cost of paying the debt to then-current costs for rent, food, and utilities. Borrowing for current consumption, except to cover an emergency that can easily be determined as short-term in nature, is a losing game. The debt for today’s expenses piles up as more debt is added for tomorrow’s expenses. When the amount of debt and interest payments overwhelm the borrower, they are bankrupt, that is, there is no way they can pay back their loans. When countries are unable to repay their loans, it is often a disaster for the regular people of the country. Rich people typically have ways to relocate and shelter their resources, but these methods are unavailable or unknown to the middle and lower financial classes. Essential products and services often become unavailable, leading to hunger and severe medical problems. People’s life savings are often wiped out by bank collapses and/or currency collapses in which multiple zeroes are lopped off the old currency as it is replaced with a new currency. The suffering in recent years of people in Argentina and Greece demonstrates these problems. 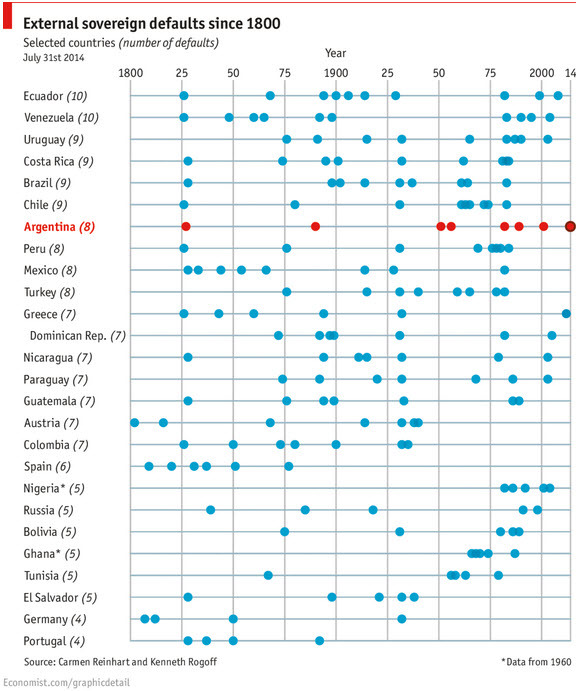 Countries are borrowing with no intention to fully repay the loans. We see overly-indebted countries struggling to create inflation so that they can repay current loans in future currency that is far less valuable, in other words, they borrow today and hope to pay the loans back in cheapened currency. Countries are saying to their children and unborn citizens: we want our benefits now and we want you to pay for them. People who claim to want to create a great legacy and life for their children and grandchildren think nothing of lobbying the government to keep and increase their personal benefits which that government clearly cannot afford. Spain, Austria, France, Japan, the UK, Canada, and the Czech Republic have all sold 50-year bonds. Mexico has sold 100-year bonds. These bonds finance current consumption and the taxpayers 50 to 100 years in the future are expected to pay for that current consumption. As if the preceding sins are not enough, perhaps the greatest immorality is the one that is hidden from most people: interest payments on all this debt go mainly to those who are already financially secure, paid for by those who are much less so. Monneta.org has shown only those who are financially in the top 10% are net beneficiaries (they receive more interest payments than they pay out in interest and taxes) from all this interest expense. And the amounts of interest are huge. From 1988 through 2014, the US federal government, for example, has paid $9.4 Trillion in interest. With the current national debt at $18 Trillion (in early 2015), clearly a huge portion of the accumulated national debt is due to interest payments. Since the few benefit from these interest payments as the rest of the populace pays the bill, once again we see the intentional structural unfairness that pervades the entire financial system. Almost every government today does not simply have its Treasury Department or Finance Ministry create its national currency, it grants that concession to its central bank, which lends that money to banks or the government itself. Thus, as with commercial banks, the money is loaned into existence and interest must be paid. In some nations, the central bank is a branch of the government, in others it is a private bank. Either way, the money is loaned into existence, saddling the entire society with massive debt that requires interest payments. Were the government to either back its money with gold or silver, or to simply create that money without borrowing it, the taxpayers of nations would not be saddled with today’s huge interest payment burden. Why is it done this way? Well, what is the job of the central bank? Since it can create infinite amounts of money if needed, it is considered the lender of last resort when there is a financial panic. And whom does it save during financial panics? Primarily banks. So the real job of this central bank is to protect commercial banks, to assure that their money creation cartel remains intact. And what is the first resort when a nation gets into trouble because its debt load has become too large? More loans! This is always the solution from international banking organizations such as the International Monetary Fund. So the fire of too much debt is fought with additional fire, placing an even larger debt burden on the already over-burdened taxpayers of a country, who now owe even more money to bankers. If an economically-troubled nation does not cooperate with these measures to saddle them with even more debt, the international banking community threatens them with various types of monetary exile—such as lack of access to markets to export their own products or to import essential products not produced in that country—that will turn their economic situation from a serious problem into a humanitarian disaster. In this manner, all nations and their people become debt slaves. This is a key element in the very well-devised plan for structural unfairness in the financial system. There is more in Part 3.
caused a great deal of unnecessary pain prior to the collapse due to structural unfairness in the financial system. Thus, to avoid creating a future that necessarily includes the pains resulting from structural unfairness (among people, businesses, and regions) and inevitable financial collapse, it is crucial that we all understand the preventable flaws of the modern financial system to assure that these flaws are not reinstated. Repeating these flaws guarantees a world where a very few have great wealth, where a very large number of people struggle daily for basic necessities, and where the vast majority works daily to provide more for the very wealthy few. It is essential that people understand this concept of structural unfairness. Allowing structural unfairness means there is no “level playing field” for all parties. It guarantees ever-growing and societally destructive wealth inequality. This is not wealth inequality based on inevitable differences in financial effort and talent among people, this is severe inequality that is built into the system. That is what is meant by structural. Most people and industries work diligently to produce a product or service from which they earn money. Yet one industry, banking, can create money from nothing, lend that money to others, and charge interest on that new money. It is virtually guaranteed that this single industry with access to free money will come to dominate the economic and political worlds. Many people in the world work hard to obtain what is considered a good salary, a steady income. But when they achieve that goal in developed economies, between national, state/provincial, county, and municipal taxes on their income; VAT, sales, and fuel taxes on their purchases; property taxes; and agency taxes and fees (for example, on telecommunications and utility bills); for many, at least 50% of their income is taken. In an economy in which most businesses in the vast supply chain that provides the world’s products and services have taken on debt in their businesses, according to those who have studied it, on average, 30% of the cost of everything people buy is due to interest expenses in the supply chain. Because governments borrow money to fund infrastructure projects, the cost of building roads, bridges, schools, airports, stadiums, and so forth would be, on average, 40% less were it not for interest expenses on the debt for the project. If a person in this economy takes on one or more forms of personal debt–mortgage, car loan, student loan, credit card debt, and so forth—yet another substantial chunk of their income is consumed by interest payments. Because almost all governments have made promises they cannot keep and which are not sufficiently funded by taxes, they borrow ever-increasing amounts of money. From 1988 through 2014, the US federal government, for example, paid US$9.4 Trillion in interest on its borrowings, so a substantial portion of the US$18 Trillion national debt (in early 2015) is due to accumulated interest payments. Furthermore, these vast and accumulating government debts mean that all children are now born with a portion of the nation’s debt burden they are expected to pay so that the lenders can continue collecting interest payments; in the US as of early 2015, each child is born with a national debt burden of more than US$57,000. Who collects these vast flows of interest payments? Those who can create money from nothing, that is, the banks; and those who have excess assets to lend. According to those who have studied it, 60% of the massive flow of global interest payments go to the wealthiest 10% of the populace. And we all now know from more detailed studies that these massive money flows concentrate further within that 10%, especially to the 0.01%, who then use those money flows to have a major influence on government and media, thus controlling the laws under which people live and the messages with which they are constantly bombarded by television, radio, and in print. High taxation and heavy government borrowing go hand-in-hand with massive expenditures by government. Those businesses that continuously benefit from these expenditures use profits to influence elections, elected officials, appointments at regulatory agencies, the writing of laws, and media coverage of issues, continually increasing the flow of government expenditures in their direction at the expense of taxpayers and the rest of the business community. Thus, the banking cartel, the military-industrial complex, the medical-industrial complex, and so forth, become permanent, major fixtures in government budgets, strong voices always moving policy in a direction favorable to their business prospects. The fact that all money is now loaned into existence by either a commercial or central bank means that all money is debt that carries an interest payment that must be made. This means the economy must always grow so that the loans plus interest can be paid. When the economy stays stable or shrinks, some are unable to pay their loans plus interest and money starts to disappear from the ledgers of the lenders, leading to the banker-dreaded “deflation.” Because of this debt-based money, our economies are inherently unstable and thus we hear the endless chants for “growth, growth, growth.” But what is the impact of this quest for infinite growth when our economies are powered by finite resources such as fossil fuels, iron ore, cement, fertilizers for industrial agriculture, and so forth? 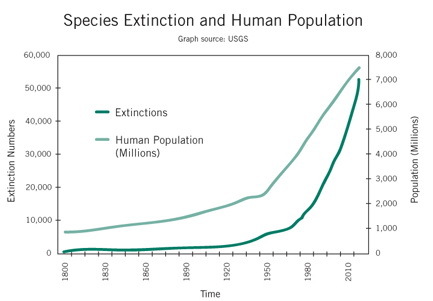 As we watch our growth-at-any-cost approach accelerate the extinction of species around us—many of whom provide crucial support for humanity—how long will it be before we threaten our own species? If a person or group attempts to operate financially outside of this web of debt, they are punished by legal tender laws that, while appearing innocuous, go a long way toward locking them into the system. The legal tender laws say that any debt can be satisfied by payment in the legal tender currency. If a person tries to operate using gold or silver or bitcoins, these forms of money are considered by the system not as legal tender, but as assets. Thus, when they are sold–for example, if you buy a cup of coffee using a fraction of a bitcoin or a barter currency—this is the sale of an asset and thus some governments want to know whether that bitcoin gained in price from the time you purchased the bitcoin to the time you “sold” it to buy coffee. And they want to tax you on any gain. Thus, alternatives to the government fiat currency such as gold and silver go into hiding in vaults as forms of savings and are not used for transactions. Attempts to undo structural unfairness rarely surface as part of the political debate, and if they do, it is the voices of those providing the bulk of financing for expensive modern political campaigns that are heard and heeded, increasing structural unfairness rather than undoing it. While this is not the complete picture of the structural unfairness in our current system, let’s take a quick look at the finances of someone who is “doing well” according to the world, that is, earning what is considered to be a very good salary. Between national, state/provincial, local, property, VAT, sales, fuel, and agency taxes and fees, at least 50% of their income is directly taken. Then, of almost everything they buy, 30% goes to interest expenses. If this person has any debt of their own—such as a mortgage, automobile or student loan, or credit card debt—then another serious portion of their income is dedicated to interest expense. Any money they save constantly loses purchasing power. Is this person really “doing well”? Or have they been enslaved by those collecting taxes and interest? If the minority on this planet that are said to be “doing well” are often in or near financial difficulty, what about the vast majority, the billions of people who do not have that “very good” salary? In early 2015, OXFAM showed that by the end of 2015, “1% of the world’s population will own more wealth than the other 99%.” In other words, the richest 1% own half of the world’s wealth. In early 2015, just 80 people owned the same amount of wealth as the poorest 3.5 billion people on the planet. And the trend toward extreme wealth inequality is accelerating, with the wealth of those 80 people doubling between 2009 and 2014. This is not accidental, this is by design. One primary source of structural unfairness is granting bankers—both commercial and central bankers—the license to create money from nothing and to charge people for the use of that money. A bank does not lend cash from its vaults, it creates ledger entries that create money. Let’s say you sign up for a four-year car loan from a Bank A. Bank A now claims it has an asset—your promise to repay the loan. It creates a ledger entry recording the fact that you will be repaying the loan with interest in installments over four years. So for the next four years, each month, you pay the bank a portion of the money you borrowed plus some additional money as interest, the fee the bank charges you for renting money from them. (If you don’t pay, the bank will claim your car by repossessing it.) If the car dealer is also a customer of Bank A, then the car dealer’s account is credited with the amount of the loan. That’s it. The transaction is done. The money has been created and you are charged interest over the life of the loan for the use of that money. If the car dealer’s account is at Bank B, an electronic transaction is created that credits the car dealer’s account at Bank B. Of course, like Bank A, Bank B has been busy creating car loans, mortgages, and business loans that day. At the end of the day, all of the electronic credits between Bank A and Bank B are totaled up (by a clearing organization—for example, the Federal Reserve in the US) and whichever bank is owed money receives a credit for that money and the paying bank has a debit. In reality, even though both banks possibly created a lot of money that day, the balance between the banks, the difference at the end of the day, is relatively very small in practice. When a bank makes a loan, it simply adds to the borrower’s deposit account in the bank by the amount of the loan. The money is not taken from anyone else’s deposits; it was not previously paid in to the bank by anyone. It’s new money, created by the bank for the use of the borrower. The reality of how money is created today differs from the description found in some economics textbooks: Rather than banks receiving deposits when households save and then lending them out, bank lending creates deposits. . . Whenever a bank makes a loan, it simultaneously creates a matching deposit in the borrower’s bank account, thereby creating new money. Yet both Bank A and Bank B can charge interest—the continuing rent for borrowed money—on all of the money they created that day. Alternatively, the bank might package up most or all of the car loans they made that month and sell that package to another party, perhaps a pension fund, who pays the bank a hefty amount of cash for the right to receive the interest payments on all of those car loans over the next four years. In this case, the bank receives a hefty cash payment for all of the money it created from nothing for car loans during that month. So for doing some fairly straightforward computer processing, the bank received quite a lot of money. It might have also packaged up and sold the business loans and mortgages it created as well. Or it might keep any or all of these loans and collect the interest each month. Either way, since so many believe that they need that money loaned to them by the bank, the bank makes a huge profit from something it created from thin air because it has the license to do so. Clearly, it is vastly easier for a bank to accumulate money than it is for people and other businesses to do so. All others typically need to work hard to provide useful products or services to earn money. Is it any wonder that most city skylines are, if not dominated by banks, let’s just say that the banks are very well represented. This ability of banks to accumulate money far more easily than others is a structural advantage that makes it inevitable that banks will eventually dominate both the commercial and political domains. Their access to free money makes it nearly inevitable that they will lend to favored businesses and governments; deny loans to those they do not favor; use outsized profits to participate in and dominate what are supposed to be free markets for stocks, bonds, currencies, and so forth; and use their profits to purchase political influence, thus writing laws that guarantee and enhance their privileged position, and placing those who favor the banking industry as government regulators. Some argue that the public banking model—in which banks are a branch of the government and all banking profits fund projects for the public good—solves this structural advantage problem, even to the point of eliminating the need for taxation and government borrowing. We will analyze the Public Banking Model in a future post. In almost all nations, the cash and base electronic money of the society is created by a central bank. (While cash may be printed at a mint, central banks currently control how much of that money makes its way into the economy.) This central bank, sometimes a private corporation and sometimes a branch of government, is granted the license, the concession, to create the nation’s money, most of which is electronic, and to manage the quantity of it in circulation. In recent years, the central banks have engaged in what they call quantitative easing, but which is known in more honest circles as money printing. In this practice, the national government borrows money to pay those bills that it cannot cover through taxation by issuing various forms of government bonds, and the central bank creates electronic money from nothing to buy those bonds. Prior to this, and in addition to it still, central banks created money in a variety of ways. For example, central banks of the West often create money through operations to add reserves to banks. Central banks in the East, in countries with large trade surpluses, create new national money to exchange for the foreign money that flows in from their exports. Foreign money is deposited into their commercial banks by their exporting corporations; these commercial banks want to exchange that foreign money for their local national money. The central bank then holds onto that foreign money as reserves. For example, we all hear about the central bank in China holding almost $4 Trillion in reserves. In addition to the great power implied by being able to create the nation’s money from nothing, central banks have the power to manipulate interest rates, thereby strongly influencing the cost of borrowed money. These powers have given them such influence over economies and markets that they are nearly considered gods in today’s world. Their public statements are awaited with bated breath and then endlessly analyzed and debated as if their words came “from on high.” Financial markets often have large, spasmodic moves because of a single word or sentence uttered by a central banker. Furthermore, most central banks operate behind a veil of secrecy and often with no outside audit of their actions. They claim that this secrecy protects their independence from political influences. However, this secrecy enables massive abuse of this license for money creation on behalf of favored groups. They create secret bailouts, currency swaps, and special loan programs worth trillions of US Dollars. For example, the Bank of England, still the central bank of the UK, was founded to support the war machine of the King of England in 1694. And it is now known that actions of the Bank for International Settlements, the central bank of central banks, supported financing for Hitler’s activities, and facilitated Nazi theft of national gold from other countries. It is extremely likely that there would be far less war in the world were it not for central banks printing money in support of the war-making capabilities of national governments. Regardless of the publicly stated aims of central banks for currency and price stability, full employment, economic growth, and so forth, their actions are easily understood when it is clear that the paramount goal of central banks is to protect the game of the large banks. While nominally they are regulators of large banks, in practice, they support and protect the banking cartel. Thus this power further assures the structural advantage of the banks. We will return to the topic of central banks in the discussion of fiat money below. Sheer Size of the Tax Burden: First is the sheer size of taxation in the modern world. As an example, government costs the citizens of Denmark 48% of their country’s Gross Domestic Product, and they are not the only country in which the cost of government is approaching 50% of the nation’s output. Yes, some of the money collected by government is returned to citizens in the form of direct disbursements such as retirement pensions and purchased services such as health care. But much of it funds a permanent bureaucracy, standing military, and interest payments on debt. Can a tax jurisdiction and the individuals within it be prosperous in the long term when government takes nearly half the income of those actually producing goods and services in the economy? And these compensation statistics do not include the lavish lifestyles and red-carpet treatment politicians and bureaucrats often arrange for themselves at taxpayer expense. B. Huge taxation results in massive government spending for goods and services. This disproportionately enriches those vendors who secure government contracts, at the expense of other businesses, and at the expense of the taxpaying public. These vendors can use their profits to curry further favor with those in charge of government expenditures, leading to the dreaded “military industrial complex,” “medical industrial complex,” and so forth. The Legitimacy and Inevitability of Taxes: People have come to accept “death and taxes” as inevitable. While people often argue about the fairness of particular taxes, it is rare to hear a discussion of whether taxes are legitimate at all, despite the fact that this page on the History of tax resistance lists hundreds of tax revolts and rebellions, including famous events such as the American and French Revolutions. Most national boundaries and governments were formed through war, with taxes being promptly levied within the jurisdiction by the victors. 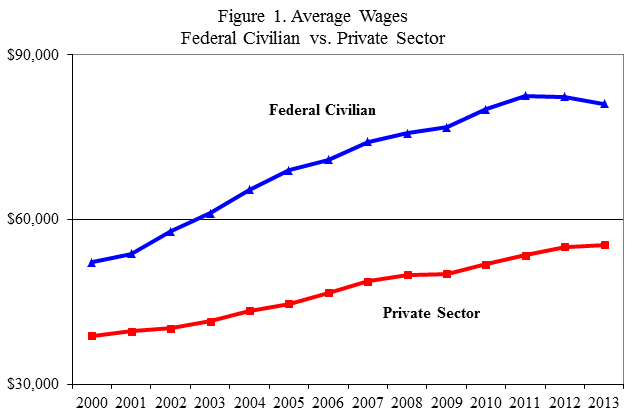 Does skill in war make taxing legitimate? Or is it simply imposed by force, particularly with the threat of jail time, without the consent of the governed? If governments can print money, why are there taxes? If a national government can print money, why do they need to tax at all, why not simply print the money they need? If this question seems absurd or fanciful, here is a paper written in 1946 by the then-president of the US Federal Reserve Bank of New York making precisely that point. He said that if a national currency is not backed by gold or any other commodity, and the national government or its central bank can print the money, then taxes at the national level are unnecessary. He said taxation at that point can be a tool of social and political policy, for example, to “subsidize or penalize various industries or economic groups,” or to implement progressive income or estate taxes to redistribute wealth, but that it is not a necessity. So we need to ask ourselves: what is the true purpose of the large tax burdens currently heaped on citizens? This power is further enhanced by direction of the flow of tax money to favored supporters and away from opponents through government spending, changes to tax law, loans and loan guarantees, and manipulation of purportedly free markets. While one would expect this in dictatorships, it has become true in nominal democracies as well. Secrecy: In addition, parts of the tax collection, government borrowing, and government expenditure processes are shrouded in secrecy, making accountability impossible. Most governments now have “black budgets”–typically related to military and spying operations, the infamous “black ops”–where the amount and purpose of the expenditures is secret. This is a small part of the massive secrecy that shrouds much of government planning and operations, even in nominal democracies. Much of governing today happens “behind closed doors,” and what goes on behind those doors is not revealed for years or decades, if ever. from CBS News of US Defense Secretary Donald Rumsfeld announcing, on the day before the infamous 9/11 attacks, that $2.3 Trillion had gone missing at the Pentagon. (Any mention or tracking the missing $2.3 Trillion disappeared, of course, after the 9/11 attack.) Independent investigators have documented additional trillions that have gone missing from US government coffers. Worldwide, most are all too familiar with the stories of politicians who arrived in an office of “public service” as a person of modest means who left that office with great wealth. Market Manipulation Departments: Also in the realm of secrecy, almost all governments have departments funded by taxpayers for the manipulation of supposedly free markets. In the US, this work in centered in the Exchange Stabilization Fund of the US Treasury. The actions and trading profits of these departments are almost invariably hidden from public scrutiny. Which markets they manipulate and when they do so is rarely revealed, offering ample opportunity for abuse in terms of cementing the personal power of entrenched politicians and the advantage of favored constituencies. The Tax Avoidance Game: Large and complex taxation regimes lead to businesses and individuals putting great effort into avoiding taxes. Rather than deploying resources in the most logical and productive way, many make decisions based on tax consequences instead. Entire industries exist to help them find loopholes, tax advantages, tax deferrals, off-shore tax havens, and strategies and tactics whose legality is sometimes questionable at best. Businesses and individuals struggle through a blizzard of tax forms, regulations, and audits to pay as little as possible in taxes rather than spending their precious time and resources on productive and life-enhancing activities. Huge government bureaucracies exist solely to collect, interpret, and enforce large and ever-growing tax codes, often now assisted by national spy agencies and law enforcement agencies who are “following the money” and can provide mountains of information about the financial behaviors of the populace. Taxes that strongly benefit the money creators: In many countries, interest expense on business loans and mortgages is tax deductible. This is a huge incentive for companies and individuals to take on debt, thus super-charging the flow of interest expenses into the hands of those who have large sums of money to lend, especially the money creators, the banks. Just in the US in 2015, from corporate announcements, it is expected that companies will purchase over $1 Trillion of their own company stock from the public market. For many companies, all of this stock buying is funded by new debt. This drives up the stock price of the company and the interest expense is deductible. So rather than investing their money in productive activities, companies deploy vast sums in so-called financial engineering, which is a polite term for gaming the system. Summary on Taxation: Taken together, taxation–grudgingly accepted by most in part because of its ballyhooed noble aims and inevitability–has been hijacked by a small class of people, government and private, to assure the increasing vastness of their wealth at the expense of the rest of society. It is as though this small group has steeply tilted the economic table in their direction so that they receive a portion of every economic transaction, of every payment for someone’s labor, and of every payment for every product sold in the society. If we are to vanquish financial problems once and for all, taxation as currently practiced must be understood as a major structural unfairness and impediment, and every avenue for its complete elimination must be explored. But wait. . . There’s more. Here is Part 2. Some have asked why there have been no new posts recently. Here is the answer. Thundering Heard has reported on emerging trends in this time of transition, and offered some suggestions on how people might wish to prepare for the financial, political, energetic, and earth changes that continue to accelerate and that will have impacts over the next decade that are currently unimaginable. While that work will continue, now it’s time to get into the details of how we take advantage of this confluence of end-of-cycle changes. The first installment is a draft of a chapter from an upcoming book on how we vanquish financial problems once and for all. The words vanquish financial problems once and for all are not chosen as some statement of vague hopefulness. As you will see in this chapter, this is about the nitty-gritty of how things work now as a starting point for how to accomplish the goal. The chapter is being labeled as a draft as a way of asking for your help. I sincerely seek your comments on this chapter, especially on anything questionable, unclear, or vague. If you were sending this post to friends, would they need more explanation, better explanation? More examples? Or is it too verbose? Is there a specific section, paragraph, sentence, or word that is unclear? Or should be deleted? Or perhaps the whole thing is fine as it is and should be left alone—but what are the odds of that?! If this book is to truly help in accomplishing the goal, it needs to be excellent. I am asking for your help so that this chapter and upcoming chapters become as good as they can be. Please post comments below or send them by email to my personal address or to the address on the Contact page.